'He really is the love of my life,” the 'Total Bellas' star admitted. 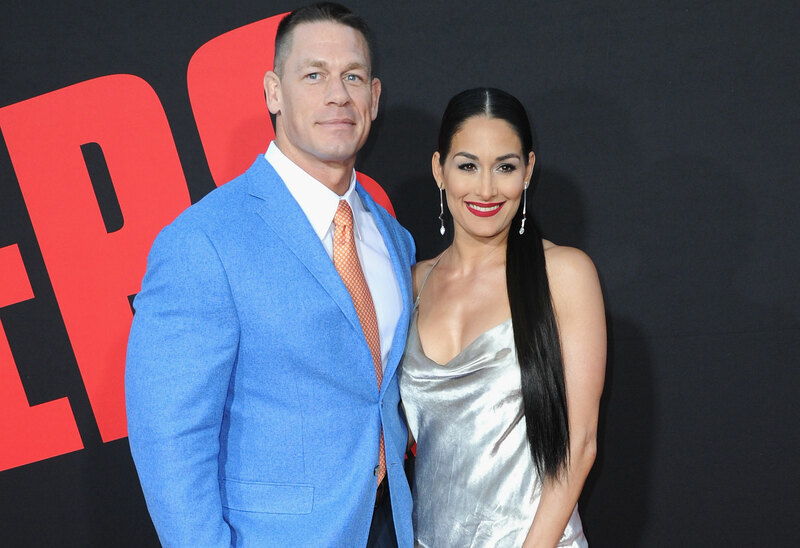 Nikki Bella and John Cena may get back together after calling of their engagement last month, just weeks before their wedding date. The WWE stars famously got engaged on the stage of WrestleMania 33, but parted ways after six years together, ending their relationship shortly before they were set to walk down the aisle. Bella posted the news via Instagram. "While this decision was a difficult one, we continue to have a great deal of love and respect for one another. We ask that you respect our privacy during this time in our lives,” she wrote at the time. And the feelings are mutual. John also got candid with his feelings that same day and admitted that he still loves his ex-fiancée and wants to start a family with her, despite his previous reservations about having kids. "It's up and it's down," John replied when asked how he's doing after their breakup. "It's been incredibly reflective, which is amazing, but it's very difficult. I had my heart broken out of nowhere…or for me it was out of nowhere. Anyone who has experienced that knows it comes with a series of bad feelings." Adding, “I love her. I want to be with her. I want to make her my wife. I want to be the father of her children. I just want us to work and that’s so just from here,” he said while touching his heart during an appearance on Today.